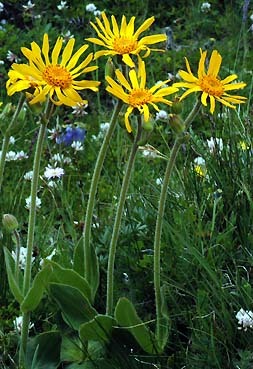 Arnica montana - Carinthia (Austria). This colourful species has a wide distribution throughout the mountains area of Europe. Its inhabit meadow and open woods.